From a museum honoring American writers to a renovated historic lakefront theater, Chicago’s newest attractions are tailor-made for student and youth groups. Anytime is a great time to visit the Windy City. But if you’re looking to experience new Chicago group attractions, we’ve got five that you won’t want to miss. Besides being must-see points of interest, they offer great learning experiences, or just plain fun, for student and youth groups. Dedicated to American writers past and present, this new Chicago museum is the first of its kind in the nation. A lively interactive showcase, it shares the personal tales and literary works of some of America’s best-loved writers, ranging from Mark Twain to Dr. Seuss. 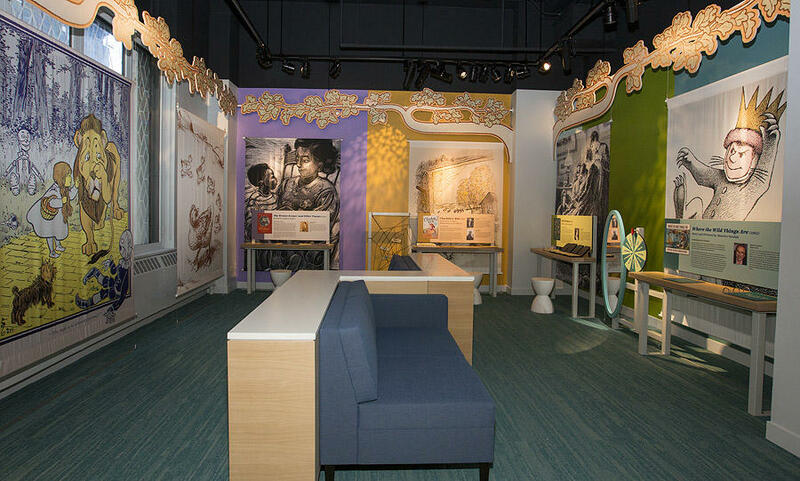 In the brightly colored Children’s Literature Gallery, couches encourage kids to plop down and lose themselves in Charlotte’s Web or the poetry of Langston Hughes. In the dramatic Writers Hall, 100 authors are highlighted on one wall, while 100 literary works are showcased on the other. Slide one of the small illuminated wall boxes and you’ll learn about the key element from a famous story or read a quote from an iconic writer. In the Nation of Writers gallery, discover authors who convey a unique American voice across mediums from poetry to sports writing. Group tours must be booked in advance. 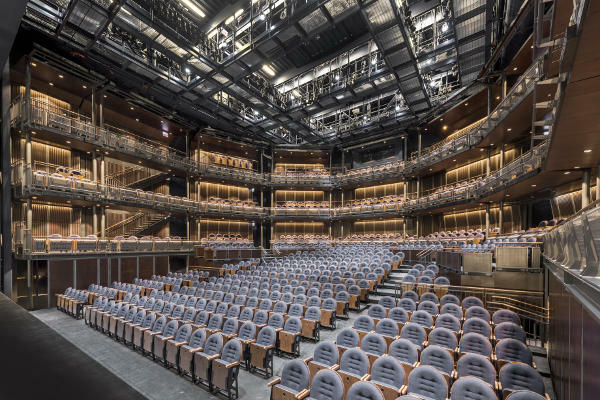 The Yard at Chicago Shakespeare Theater is a unique new year-round theater venue that recently opened at Navy Pier. The unique crescent-shaped theater design is made up of nine mobile seating towers (comparable in size to a city bus turned on its end) that can be configured into a variety of shapes, including theater-in-the-round, for different shows and audiences. The Yard can accommodate from 150-850 theater-goers. The Yard joins Chicago Shakespeare Theater’s 500-seat Courtyard Theater, and replaces Navy Pier’s former Skyline Stage. Chicago Shakespeare Theater offers discounted student matinees throughout the season; reservations should be made several months in advance. The revamped historic Theater on the Lake, formerly a summer-only venue, now includes a 330-seat main theater that will present productions all year round beginning in 2018. Acclaimed Chicago chef Cleetus Friedman has been chosen to helm its 125-seat, farm-centric Lakefront restaurant, which offers a twist on comfort foods. Lakefront features a 100-seat patio with breathtaking skyline views. The Theater on the Lake building dates back to 1920, and was designed by Prairie School architect Dwight H. Perkins, who also designed Café Brauer at nearby Lincoln Park Zoo. Whether the Chicago Cubs are playing baseball or not, there’s fun to be found at Gallagher Way, a new outdoor plaza that hosts everything from live music to ice skating, and is home to a growing number of restaurants like the Budweiser Brickhouse Tavern (named for legendary sportscaster Jack Brickhouse). The lively eatery features two terraces with views of the Wrigley Field stadium. Join Wrigley Field Tours for a behind-the scenes look at the historic century-old ballpark, which include great photo opps on the field. Book the Interactive Educational Tour tailored for school groups of 20 or more. Afterwards, pick up a souvenir at the Cubs Store, be dazzled by the collection of World Championship rings at Jostens Jewelry Store and stop by the Trophy Room to see the Cubs’ coveted 2016 World Series trophy. In 2018, the new seven-story Hotel Zachary, named for visionary Wrigley Field architect and native Chicagoan Zachary Taylor Davis, will open across from the home of the Chicago Cubs. The 175-room boutique hotel is planned to house local dining favorites Big Star and Smoke Daddy. The MCA recently unveiled its $16 million redesign, which resulted in 12,000 square feet of new public gathering spaces and a state-of-the-art education wing with expansive Lake Michigan views. Students can join in artist-led tours and workshops to explore the MCA’s impressive collection of modern art by some of the best-known contemporary artists in the world. Or plan a private tour with a practicing artist guide who receives special training about each MCA exhibition and shares interesting background information about the featured artists and artworks. Tours last 45-60 minutes and encourage conversation.